Ask a Catholic: Lent Style, or What's with the fish on Fridays, anyway? | The Speckled Goat: Ask a Catholic: Lent Style, or What's with the fish on Fridays, anyway? 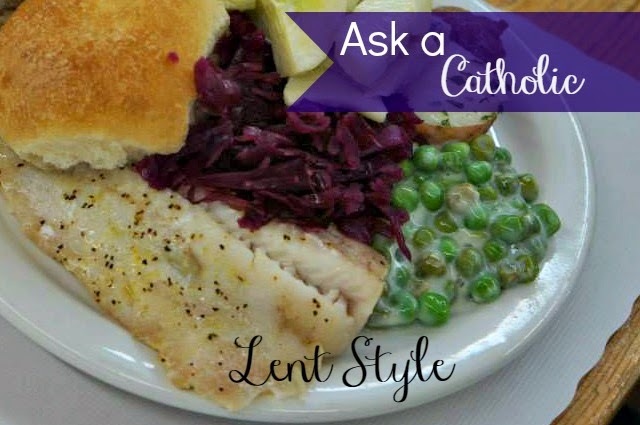 Ask a Catholic: Lent Style, or What's with the fish on Fridays, anyway? As the closest thing to Catholic at the table- I was baptized both Catholic and Reformed (double-dipped! )- I ineffectually shrugged my shoulders right along with everyone else. See, while I’m technically Protestant (we attend an Evangelical Free church), I’ve found lots of wonderful truth and tons of beautiful and meaningful tradition in the Catholic faith. I don’t agree with everything the Catholic church believes, no. But I do think that as Christians, we can all learn from different Christian denominations- we’re all the body of Christ, and we’ll be hanging out together in Heaven. Different perspectives are a good thing. And also, I’m just plain curious. So instead of shrugging my shoulders and moving on, I thought … hey! Why don’t I ask a Catholic? 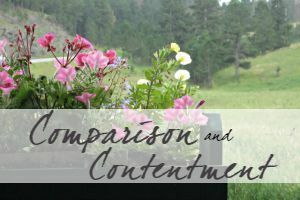 I have lots of Catholics I could have asked- my grandparents, several of my aunts and uncles...- but I figured I could also use this as a chance to introduce you to one of my favorite bloggers (and give her a little love!). Kendra Tierney is pretty much awesome. 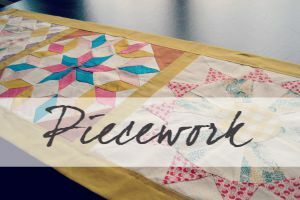 I’ve been reading her blog for quite a while, and she’s always offered thoughtful, often humorous, glimpses into her life and her faith.She's already written so much about this particular topic, I thought she'd be a great choice! Ally: Hi, Kendra! Thanks for being here, today! First of all, why don’t you tell my readers a little about yourself. Kendra: Thanks Ally! Well, I’m a wife and a mother of many living in suburban Los Angeles. 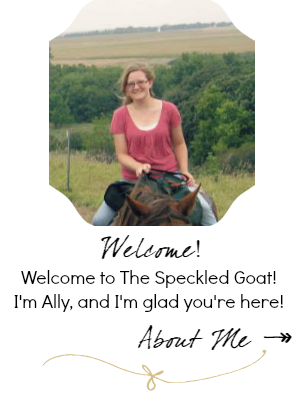 We homestead a little and homeschool a lot. I’m an author and a blogger. 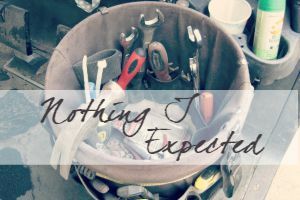 I write mostly about parenting, how we incorporate our faith into our lives, and what I’m watching on Netflix. A: So, okay, Lent. What is the purpose of Lent in the Catholic year? Give us the overview. K: Catholics view Lent as a time of penance and preparation. Catholics follow what’s known as the liturgical year. That means the church year is broken up into season, as it were. We observe Advent, then Christmas, then there’s some ordinary time in there, then Lent, then Easter, then more ordinary time. It’s all a cycle that helps us to focus on different aspects of our faith at different times of the year. We use the period of forty days before Easter as a specific time to try to focus more on God and less on ourselves, especially by taking up new beneficial spiritual practices, and/or giving something up. The official focus of Lent is threefold: prayer, penance, and alms-giving. A: What are some of your favorite Lenten traditions? 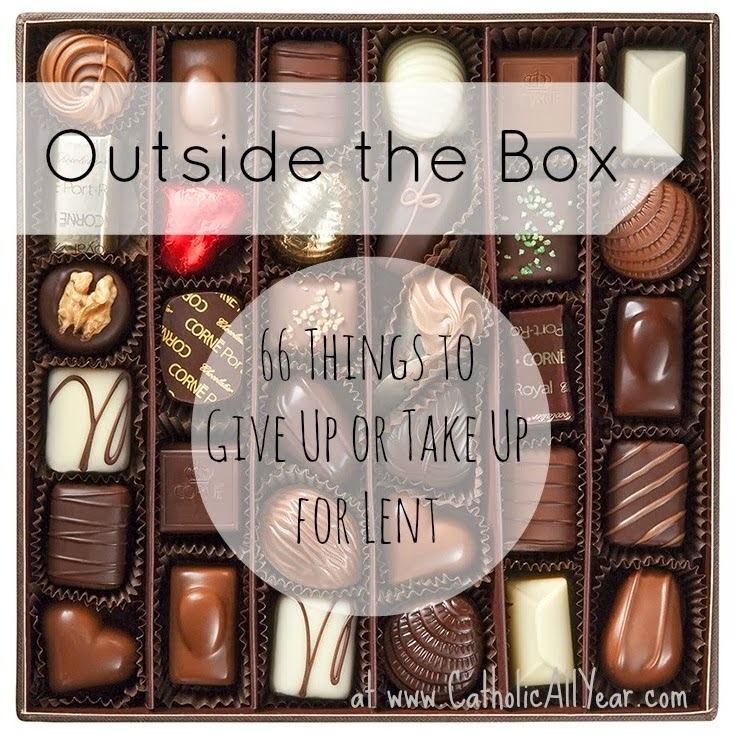 K: We have adopted quite a few Lenten traditions over the years, but my favorites are . . . The Lenten Bean Jar: We have a tin of dry kidney beans on a table in our living room. Throughout Lent, if the kids make a sacrifice, or follow family rules, or exhibit good behavior, or help each other, or do things without being asked, they get to move a bean from the tin into the bean jar. On Easter morning, they find that the sacrifice beans have been turned into jelly beans. Then, the whole process goes in the other direction. Throughout the Easter season, sacrifices and good deeds get the kids a jelly bean OUT of the jar. It’s quite motivational. Counting to Forty Before Meals: Just like it sounds. When we sit down to eat, we say grace as usual, but during Lent, we also count to forty before we eat. It’s an easy way for even toddlers to participate in Lent. And while it’s not a BIG sacrifice, it does keep us mindful of Jesus’ forty days’ fast in the desert. The food is RIGHT THERE. We WANT to eat it. But we make ourselves wait just a few seconds extra to do it. Soup and Stations: There is a traditional Catholic practice of praying and meditating about fourteen different events that happened during Jesus’ passion, from his appearance before Pontius Pilate to his burial in the tomb. We call it the Stations of the Cross. Fridays in Lent are a particularly appropriate time to pray the Stations of the Cross, and many Catholic Churches host get-togethers so people can pray them together. Since Catholics must abstain from eating meat on the Fridays of Lent, many churches also host a soup or fish dinner. We found that most of them started too late for our little kids, though. So we started hosting our own Soup and Stations at our house, and inviting friends. We’ve found that it creates a feeling of camaraderie, knowing we’re sharing our Lent with others. Just because there isn’t any meat in it, doesn’t mean the soups can’t be quite tasty. And just because the meditation parts are solemn, doesn’t mean the evenings aren’t a lot of fun. My kids really look forward to them. A: How do you incorporate those traditions with your large family? K: We do family-imposed Lenten sacrifices that we share, so we ALL give up treats and screens as a family, and we ALL take up counting before meals, and saying the Stations of the Cross, along with personal individual practices, that kids and grownups get to decide on their own. 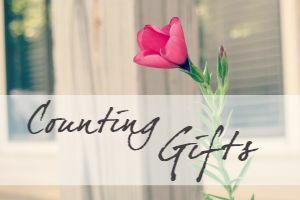 A: What’s with “giving things up?” Is it a scriptural practice, or a tradition? K: It is something that developed over time. The idea is based on Jesus’ forty days in the desert, spent in prayer and fasting, that occurred before the start of his public ministry, three years before the events of Holy Week took place. 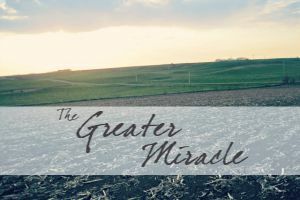 Most of us can’t actually go away from our normal, daily responsibilities for forty days to focus on preparing ourselves for the miracle of the resurrection. But we CAN use that set time each year to focus less on food and other bodily comforts and more on prayer and loving our neighbor. In that way, once Holy Week, and then Easter arrives, we can be spiritually ready to observe and celebrate. A: So, what’s with Catholics and not eating meat on Friday? Is it biblical? And how come fish doesn’t count? K: Well, Catholicism is very old and it is practiced all over the world. So, even though eating meat doesn’t seem like much of a special occasion to us here in the modern western world, it certainly WAS a big deal for most of time and still is in many parts of the world. To eat meat meant slaughtering an animal from one of your flocks. It had to be cleaned and prepared and all consumed before it could go bad. It was a whole big thing. And Friday, every single Friday, but especially the Fridays of Lent, we want to remember Jesus’s sufferings and death on the cross. So we avoid having an especially celebratory meal on that day. Fish has traditionally not counted just because the word “meat” in most languages, and even most commonly in English refers to the flesh of land animals and birds, but not to fish. A: What’s one thing that you’d like us all to take away from the way that Catholics practice the season of Lent? I’d say that the thing I’ve come to appreciate most about it is how the liturgical year gives a rhythm to our lives. I can’t keep up being super penitential all year long. I can’t keep up being super celebratory all year long. But both penance and celebration are important parts of being Christian. Back when I focused never on either, I had a lukewarm to nonexistent faith. I like that the Catholic Church provides me with a framework in which I can grow through focusing on different aspects of my faith journey at different times of the year. A: Thank you so much for your time and for giving us a glimpse into the way the Catholic church celebrates Lent, and for sharing the way your family celebrates! Have a great Easter, friend! and a good dash of smart humor. Do you observe Lent in your own home? What are some of your family's traditions that tie to your religious beliefs? I love that you asked this because before I went back to the Catholic faith, even my evangelical pastor would comment about how Easter just crept up on us and Bam! before you knew it, there it was. I was tired of the most amazing religious holiday being one day. That isn't why I went back to Catholicism...it's just a comment about Lent. I am guilty of just what you described in your intro- I tend to forget the reason for my Lenten sacrifice along the way. I try to remember to use the times I am tempted to "cheat" or am frustrated at not drinking that Dr. Pepper, for example, to say a prayer about uniting my sacrifice to Jesus'. It sounds so petty, though. "Thanks, Jesus, for suffering and dying for me. I'll give up a cupcake for you in return!". Good thing He is a merciful and patient God! I think that's a big part of our human nature- to forget the reason behind our actions! I read somewhere that when people fail at Lenten sacrifices, it's a good reminder that we're weak, but He is strong! 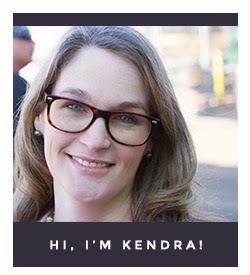 I'm a new Catholic and learned a lot from Kendra's answers here. Thanks so much for asking great questions, Ally!